Planning for the future is building on history and culture. Planning for future cities is planning for people and society. People are inseparable from history and culture, stronger: people are culture. A cultural infrastructure is essential in society. 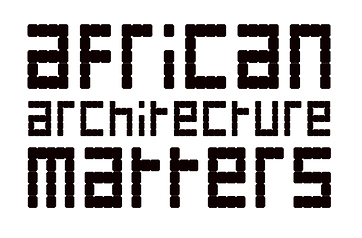 However, it is regularly not the infrastructural investment in African cities one thinks of first. Hifadhi Zanzibar is a company that is inspired by Stadsherstel Amsterdam, a historic real estate company that played a crucial role in maintaining the historic character of the Dutch capital. The shareholders of both companies receive a modest dividend, while the remainder goes back into new investment. Hence a model with an increasing impact on the character of the city. A business model that invests in heritage and culture, among others through the revival of an old cinema in Stone Town. CACAU is a centre for culture and creation, located at the former Public Works office, offering exhibition and meeting space, a theatre and film hall, a library and café / restaurant. It forms a thriving centre that stimulates both cultural creation and citizenship. The organisation is self-sustainable and has an increasing impact on Sao Tomé’s society. In March 2019 an International Forum on Cultural Spaces took place in Kigali, organised by Rwanda Arts Initiative, BOZAR and AAmatters, presenting a number of successful examples of cultural centres on the continent with the aim to improve the cultural infrastructure in Kigali and Rwanda. The Forum was intended to develop an action plan and business model for the implementation of a new space for culture and creation in which the private, public and cultural sector work together.